Do your kids love to solve problems? Mine do! Give them a mission and they can’t wait to figure out how to complete it. 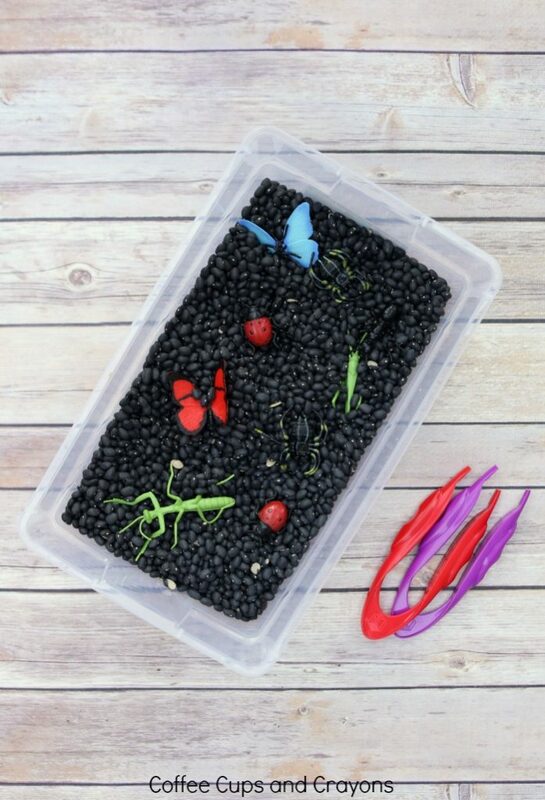 Challenge you kids to get the bugs out of this simple sensory bin and see how fast they rise to the challenge. It’s a great way to keep them engaged and learning, especially this time of year when they start to see bugs everywhere. This one is so easy to set up! Begin by dumping the bags of dry black beans into your bin. Add enough beans until the bin is at least halfway full. 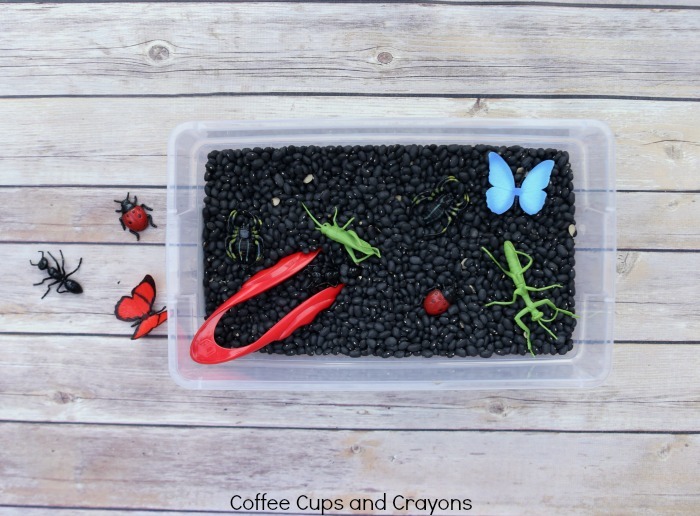 Hide the plastic bugs in the beans for your child to remove with the tweezers. Depending on your child’s dexterity and attention span you can set them all on top of the beans or hide them underneath the beans for him or her to dig out. Demonstrate how to use the tweezers to pick up the bugs and let your child give it a try. Give him or her the quiet bin and let them work to get the bugs out. Once all the bugs have been taken out he or she can use the tweezers to put them back in and start all over again! 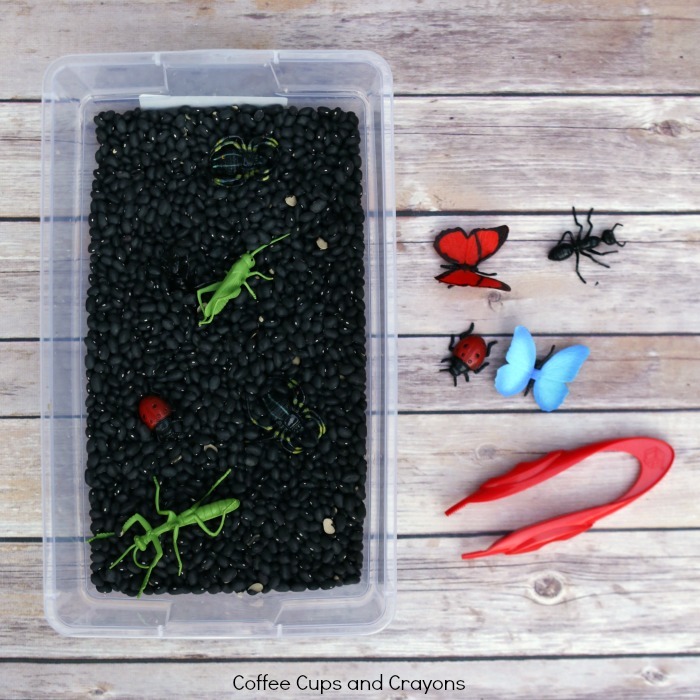 Extend the learning and the fun by having the kids sort the bugs! 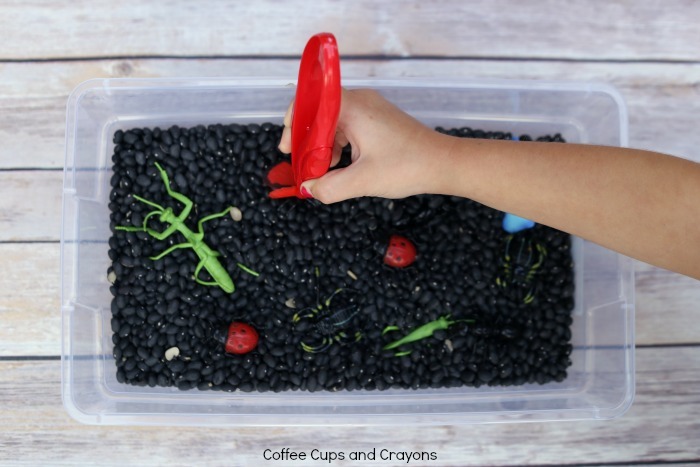 After kids get the bugs out of the beans they can sort them into groups by size, color or number of legs–there’s so many ways to play with this bugs sensory bin! 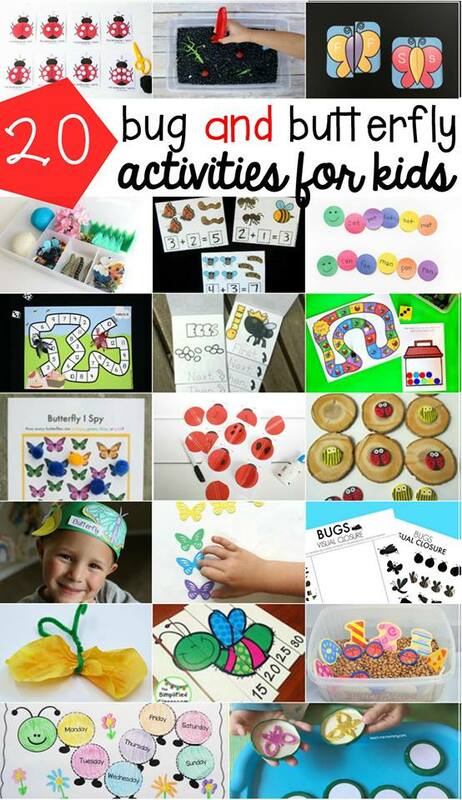 Keep the buggy fun going with 20 more bug themed activities!